Former footballer David Beckham has bought a London pub for £3m with film director Guy Ritchie, with plans to give it a “Soho House-style” makeover”. 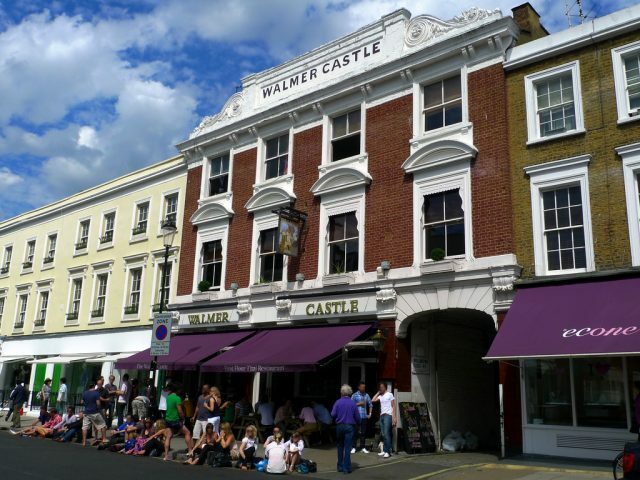 Beckham, 43 is buying the Walmer Castle, in Notting Hill, near his family home in Holland Park with good friend the film director Guy Ritchie. They’ve paid £3 million for the pub and Beckham plans to give it a ‘Soho House’-style makeover. It will be Beckham’s first foray into the on-trade, however not into the alcohol business, with the style icon already co-owner in Diageo’s Haig Club whisky. Beckham and his wife Victoria are known to have a taste for fine wine, celebrating their wedding anniversary earlier this year with a £1,500 bottle of Cabernet Sauvignon from Californian cult producer Screaming Eagle, and a bottle of 1990 Chateau Lafite Rothschild from Pauillac, Haut-Medoc. Ritchie meanwhile already owns the Lukin pub in Fitzrovia, which he bought earlier this year and will be renamed the Lore of the Land when it reopens. He also bought the Mayfair haunt The Punchbowl back in 2008, when he was still married to Madonna. The couple, who lived nearby, divorced in 2008, but Ritchie kept the pub as part of the settlement and continued to socialise there with his actor friends. It became a favourite of celebs like David and Victoria Beckham, Kevin Spacey and Leo Di Caprio, but Ritchie sold it to Cirrus Inns in 2013, famously offered fish and chips for two and a half bottle of Krug for £75. Ritchie also runs the Gritchie Brewing Company from his farm in Wiltshire, with his beers likely to be on tap at the new pub. Pay your speeding fine and take your points like everyone else Mr Beckham.